45 mins drive. (7 days a week) 9am-5pm. 1638 Steve Irwin Way, Beerwah. 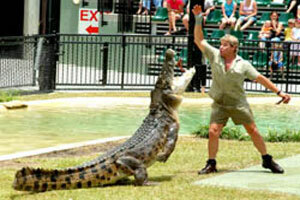 The late Steve Irwin’s award winning Zoo.